It’s hot outside, probably no matter where you are sitting, at least in the U.S. Even for here in the Pacific Northwest, it’s over ninety, which is warm. It’s not nasty hot, just enough to make a sweet, tasty beverage that can quench any thirst. Typically I recommend, and practice, myself, drinking a ton of water. But after a day of drinking tons of water, I need a flavored beverage, that I may or may not add wine too, specifically sparkling wine. And if you want no wine, you can add sparkling water that would make this tasty beverage, even tastier. I have made hibiscus tea or know in my family as Agua de Jamaica. It has this beautiful color, and natural health remedies. 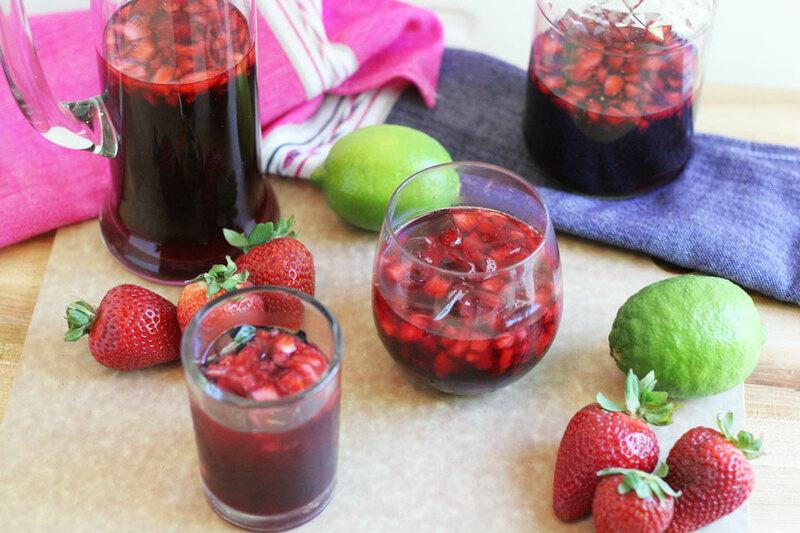 I added the strawberries for sweetness, and lime for a nice refreshing bright flavor. You can control the sweetness by adding as much or as little sugar as you want. Or omit it all together, it is so good either way. 1. Add the sugar to the warm water, stir to combine. Add the dried flowers to the the warm water and allow to steep for a minimum of 30 minutes. 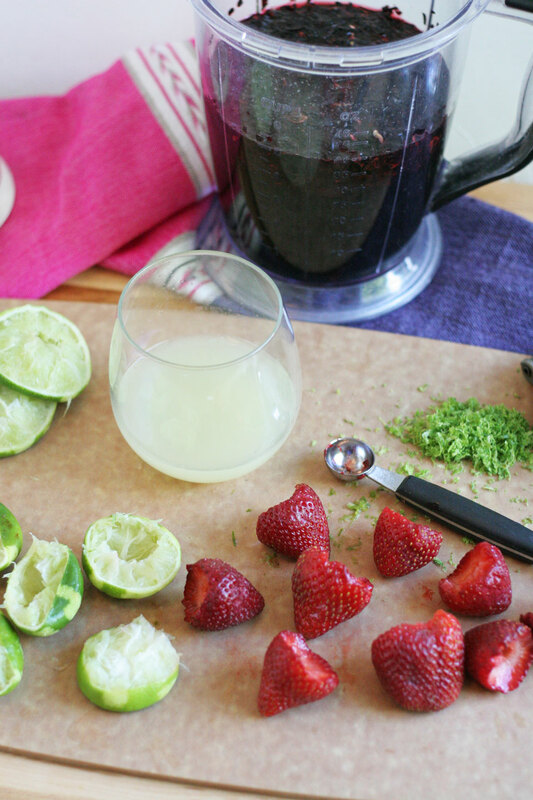 Mix together the strawberries, lime zest and juice, and salt. 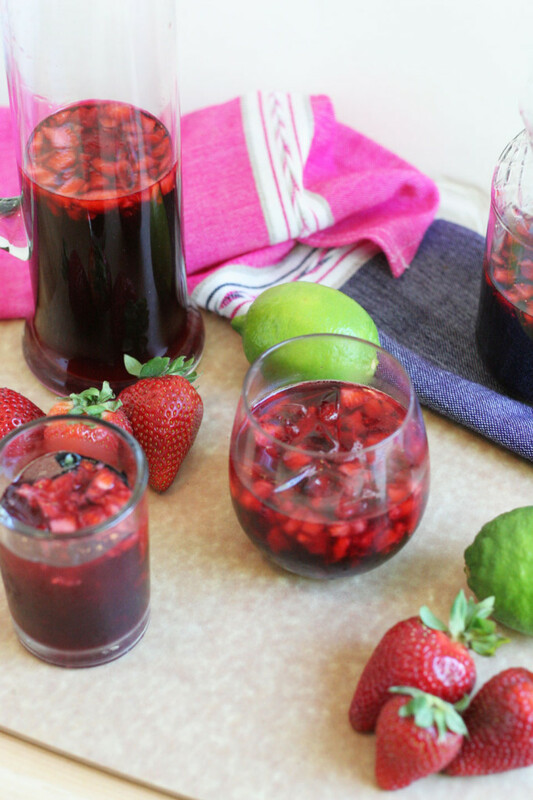 Strain the flowers, then add the strawberries/lime to the hibiscus, stir to combine. Place in fridge to keep cold. Add sparkling water or sparkling wine, optional. Serve super cold with crushed ice in a pretty glass, go sit on the porch and enjoy! Thank you! Thank you! I hope you like it. Thank you, I hope you made it and loved it!